What exactly is glaucoma and which are its main causes? Glaucoma is an insidious, irreversible ophthalmic condition which can lead even to blindness. 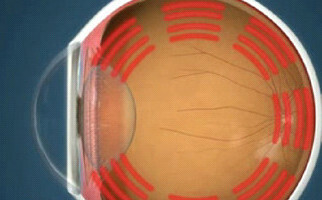 Glaucoma is a set of conditions with a basic characteristic, the optic nerve damage. Optic nerve is the link between the brain and the eye, transferring visual stimuli. Increased intraocular pressure (the generated pressure in the eye due to eye’s inability to drain aqueous humor, through the trabecular meshwork, which is located at that corner, where the cornea meets the iris), may cause damage to the optic nerve and visual fields deterioration. The intraocular pressure of the eye is normally between 12 and 21 millimeters of mercury (mmHg). So when for any reason, the aqueous humor outflow is inhibited, levels of intraocular pressure increase and glaucoma appears. Unfortunately, at least in the early stages, the symptoms of the condition are invisible for everyone, that’s why glaucoma is considered a high risk disorder. In advanced stages, apart from damages in peripheral vision, there is also central vision deterioration. However, there is a number of predisposing factors, such as diabetes, high blood pressure, myopia, family history, some vascular disorders and ophthalmic inflammations. The related ophthalmological examination should be performed preventively after 40. Glaucoma is the second most common cause of blindness in the western world, just because in the majority of cases it remains undiagnosed. 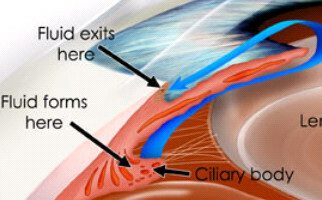 -Acute narrow angle glaucoma (also called closed angle glaucoma): it is the most serious form of the disease and affects less than 10% of glaucoma patients (usually the problem is inherited). Acute narrow angle glaucoma occurs primarily in patients who have a shallow space between the cornea and the iris. As the eye ages, the natural lens behind the pupil grows and the pupil becomes smaller, restricting the flow of fluid to the drainage site. Fluid can build up behind the iris, pushing it forward and blocking the channel (angle) that normally allows aqueous fluid to drain. If blockage happens, a rapid rise in intraocular pressure can occur. 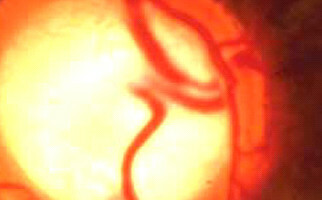 This glaucoma type is very painful because of the sudden increase in pressure inside the eye. It is worth mentioning that if the drainage angle is completely blocked, an acute attack will almost certainly develop. -Open angle glaucoma (also called chronic glaucoma): it is the most common type of glaucoma, affecting 70% – 80% of those who suffer from the disorder. 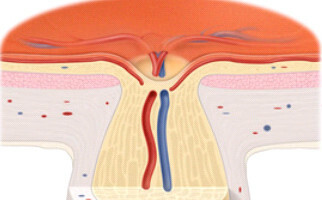 Unlike narrow angle glaucoma, patients with open angle glaucoma have a gradual blockage of aqueous outflow despite a seemingly open space (chamber angle) in the front of the eye. Apparently as the eye ages, the drainage system can become clogged or the eye over-produces aqueous fluid, either of which causes pressure inside the eye to build to abnormal levels. Open angle glaucoma is often referred to as “the thief in the night,” because it can develop gradually and go unnoticed for years, slowly robbing the victim of his or her eyesight. -Normal tension glaucoma (also called low tension glaucoma): this is a form of glaucoma in which damage occurs to the optic nerve without eye pressure exceeding the normal range. For some reason, the optic nerve is susceptible (sensitive) to damage from even the normal amount of eye pressure. -Congenital glaucoma (also called infantile glaucoma): this type is extremely rare but serious and it appears during the first 4 years of life. It may be inherited or develop as a result of the fetus’s exposure to various damaging factors. A child with congenital glaucoma is quite restless, has many tears, rubs his eyes and very often shows increased photosensitivity. A complete eye examination is necessary for an early diagnosis. 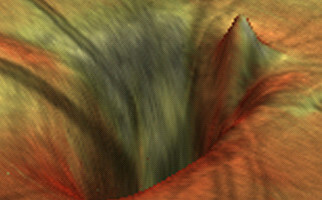 The primary objective for glaucoma treatment of glaucoma is the intraocular pressure decrease. Undoubtedly, early diagnosis of the condition plays a very important role. Medication: Daily administration of special anti-glaucomatous drugs and effective eye drops is a solution for controlling the intraocular pressure. In such a case patient’s compliance and responsibility are required. Laser application: When eye drops or tablets are considered insufficient ALT (Argon Laser Trabeculoplasty) and SLT (Selective Laser Trabeculoplasty) technologies are able to assist in aqueous humor removal. 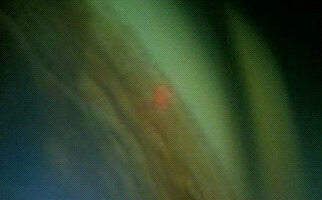 In open angle glaucoma (chronic simple glaucoma) a thermal laser beam is applied to the angle’s drainage mechanism (more specifically with SLT laser these tissues are not disturbed). This eventually results in lowering of intraocular pressure (IOP). 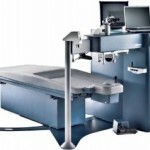 Furthermore, in narrow angle glaucoma (acute or closed angle glaucoma) the physician is able to use a special laser again to create a hole in the iris and release aqueous humor. Surgical procedures: Trabeculectomy is the most common technique, but artificial valve mechanisms implantation and canaloplasty are proved very promising methods.